Brian’s involvement with film societies and community cinema began in the 60s with Sheffield University Union’s Film Unit. In the 70s, he was Secretary of Thornbury Film Society just outside Bristol before moving to Dorchester and joining the Film Society committee there. In 1976, he was invited by the BFI’s Film Society Unit to revive the South West Group which, thanks to the efforts of many local volunteers, went on to become very effective in starting new venues and supporting established Societies. 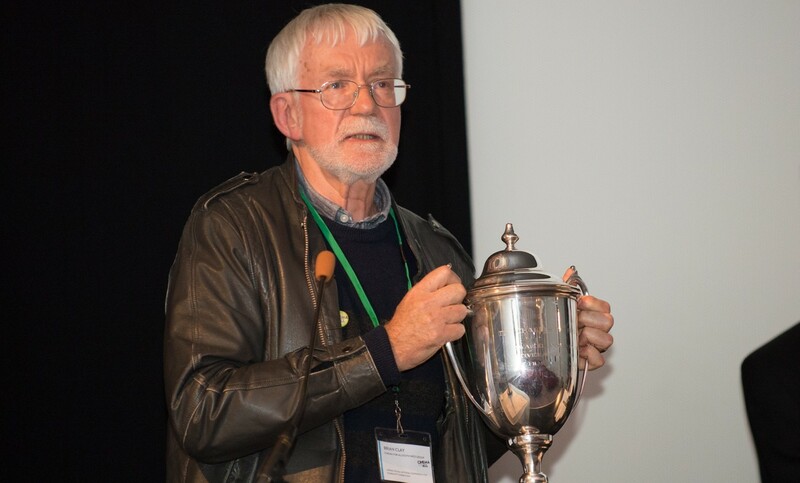 He was Chair of Dorchester Film Society from 1980 to 1992 and in 1984, Dorchester won Film Society of the Year. Brian returned to Bristol in the 90s and continued as SW Regional Secretary as well as being involved with BFFS (now Cinema For All) nationally as Chair of the Constituency Council and a member of MANCOM and the Executive. He has also been a founder Board member of Moviola, the rural community cinema circuit, since 2001. He met his wife, Mollie, when they were both members of Sheffield University Film Unit and they remain regular film-goers at Bristol’s Watershed.